The wind howled and twisted, cutting ice cold and sharp on my skin. I shivered, and zipped up my windbreaker jacket, as my skirt fluttered around my legs, and the wind, whilst sporadic, grew increasingly strong in it’s blustery gusts. 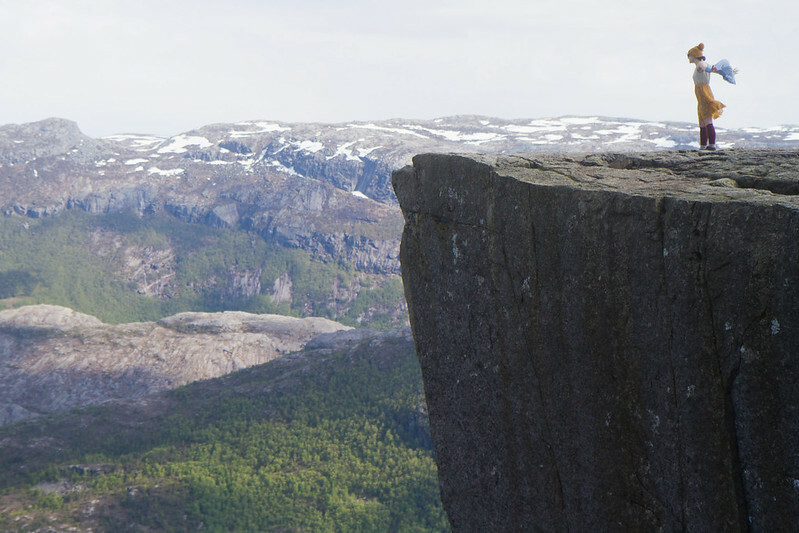 Mike and I were standing, me, admittedly, somewhat apprehensively, atop Preikestolen, in south-western Norway. 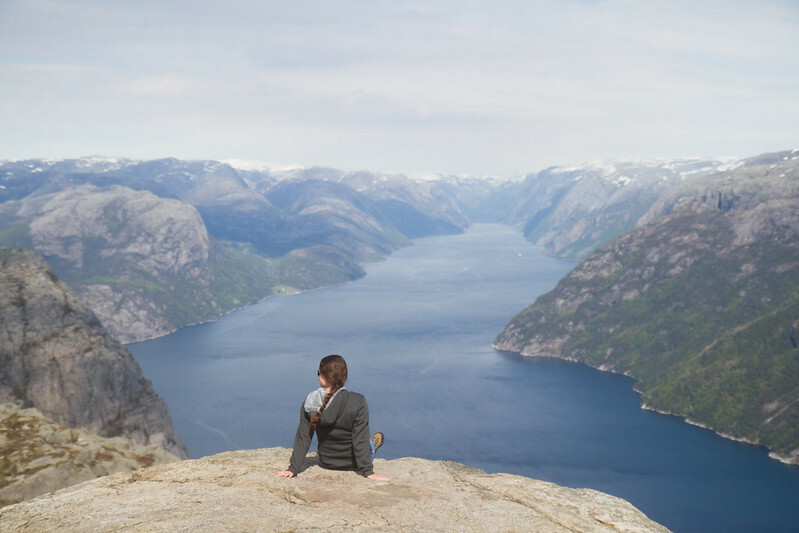 Preikestolen is a 604 metre high, 24 x 24 metre angular granite plataeu, that 10,000 years ago, was carved out of the mountainside by glaciers, and now, is one of Norway’s most visited tourist attractions, with about 200,000 people making the short, 25km journey, from Stavanger, to Preikestolen, yearly, each to test out their nerves and stare out, spell-bound, almost, at perhaps one of the most awe-inspiring, almost incomprehensible, views on the planet. 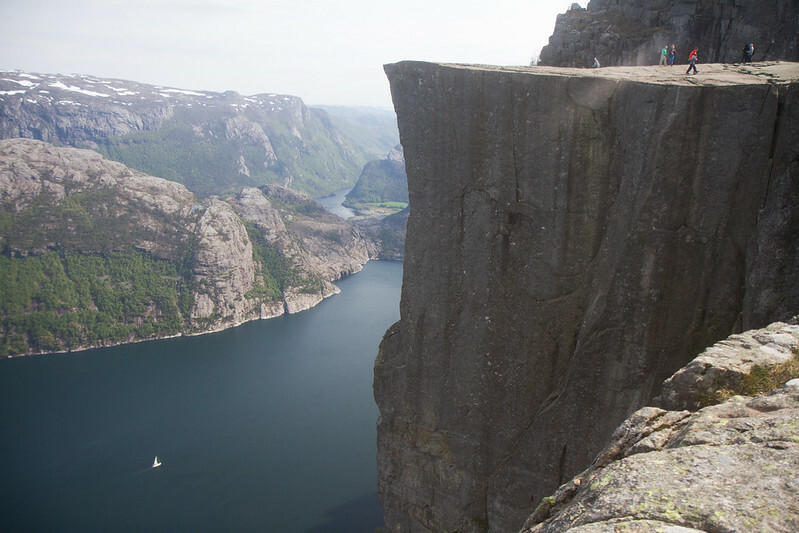 Shuffling slowly forward, emerging from the shelter of the mountain wall behind me, I approached the rock’s precipice, and, momentarily, forgot all about my dislike for vast, sheer, drops, gazing out at a sapphire blue, mirror-like, Lysefjord (translated into English, Lysefjord means ‘light fjord’, which is said to be derived from the lightly coloured granite rocks that rise out of the fjord and gift the water it’s crystalline appearance), together with the mountains the climb from the fjord’s banks, steep, and for the most past, uninhabited, save for a few people that live on the water’s edge, and travel via boat – boats, which, from where I stood, looked something like the size of marbles. I struggled to grasp the magnitude of where I found myself, and the dream-like landscape before me. 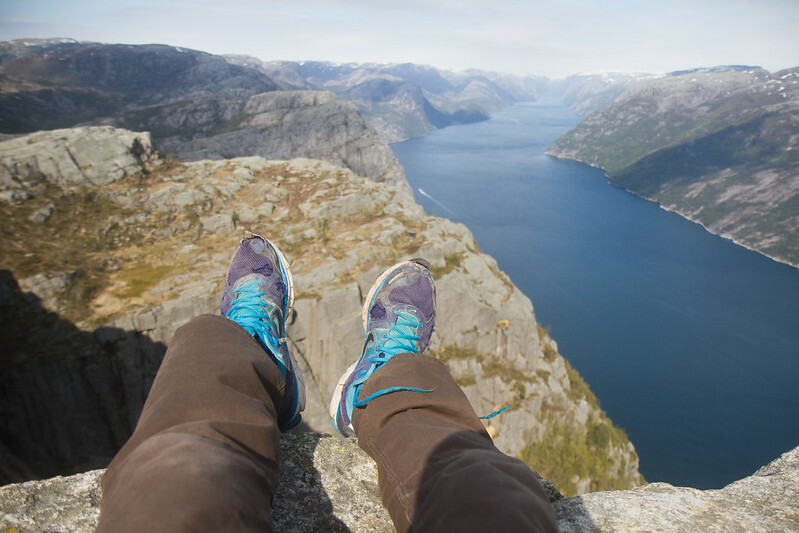 The hike to Preikestolen is a reasonably gentle, and not too strenuous, four hour, 2.4 mile, hike, there and back again. The path is a little steep in parts, rising out from the forest into a vast, rocky, boulder field, complete with a lake, and made up, for the most part, by a number of large, stone, staircases. 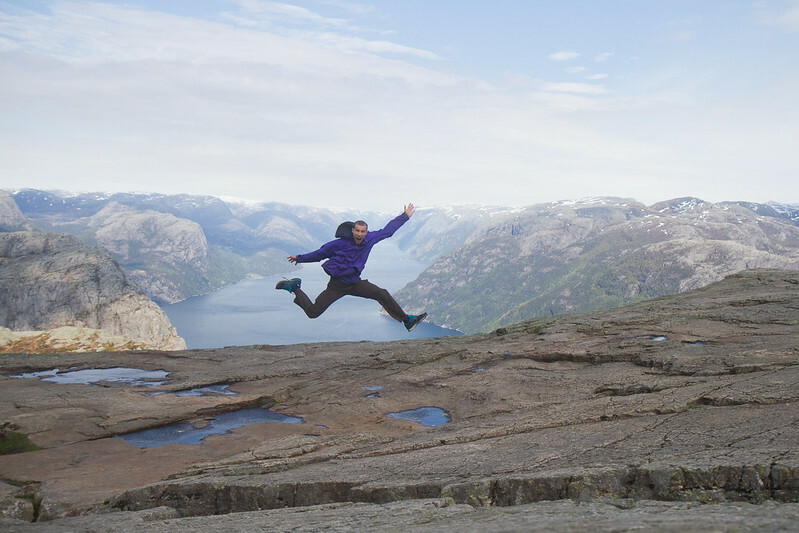 You do have to climb over a few boulders on the hike, and the closer you get to Preikestolen, the narrower, and somewhat scarier, the trail becomes, complete with huge cracks that reveal the fjord hundreds of metres below you, that you have to step over, but a huge effort has been put into the improvement of the accessibility of Preikestolen, and the trail is well sign-posted and maintained. Though the hike is not particularly challenging, it is not recommended that you attempt the hike in winter. 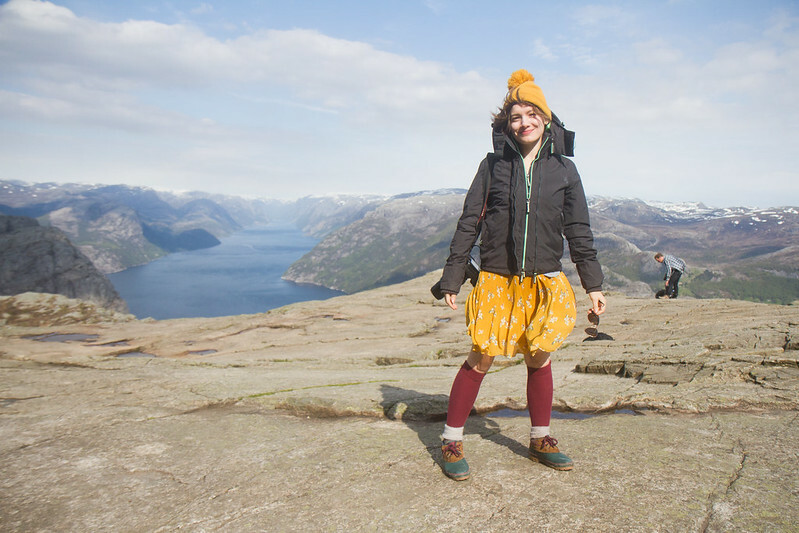 Even in June, when Mike and I visited, the weather was still proving changeable, and temperamental – if you reach Preikestolen and it’s cloudy, you won’t really see anything. 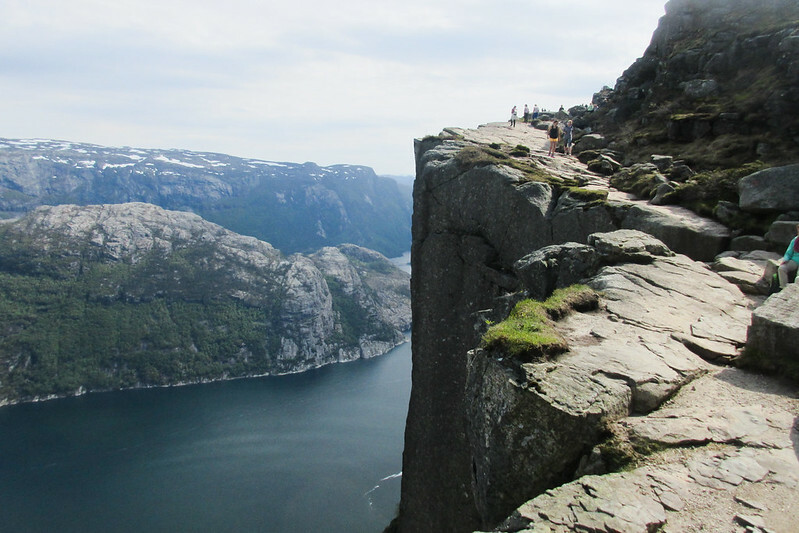 If you are lucky enough to get the chance to visit Norway, Preikestolen is a must. Yes, it’s on the beaten path, but for good reason. If any country in the world can offer up stunning hikes, with jaw-dropping, unbelievable, views, Norway is the place. 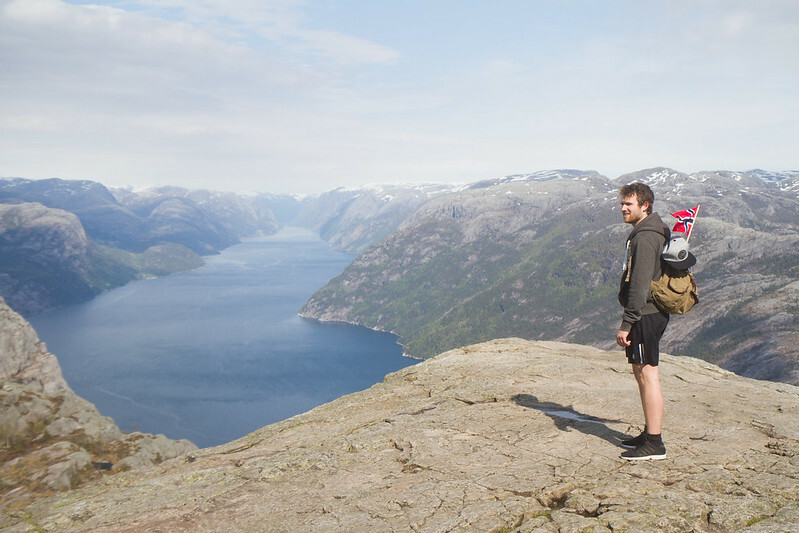 Choose a weekday to visit, as the trail and rock are better experienced and viewed with fewer people, and find yourself awe-struck by the sheer magic of the wild, and nature at it’s most ridiculously beautiful, and if you’re feeling brave – dangle your feet off the edge of the world.